Only available with Borneo Travel. We have some exciting new cycling tours exclusive to Borneo Travel. 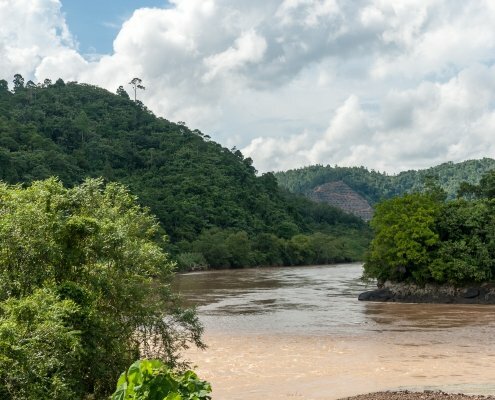 From 4 days/3 nights to 8 days/7 nights – you can take part in some awe-inspiring tours around some of the most beautiful and memory making spots of Borneo. 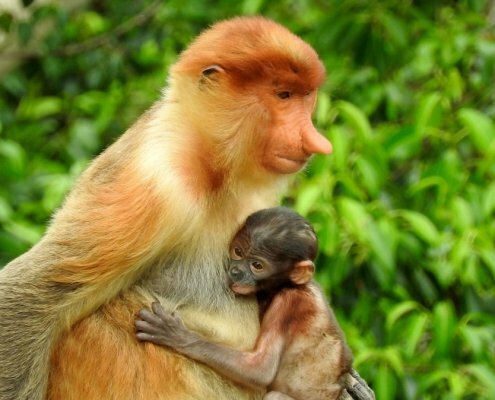 From seeing proboscis monkeys to seeing the amazing Padas Gorge, you will experience some of the greatest tours available – all exclusive to Borneo Travel. You will have true local guides, with immense experience an who will give full support, making your tours even more memorable. 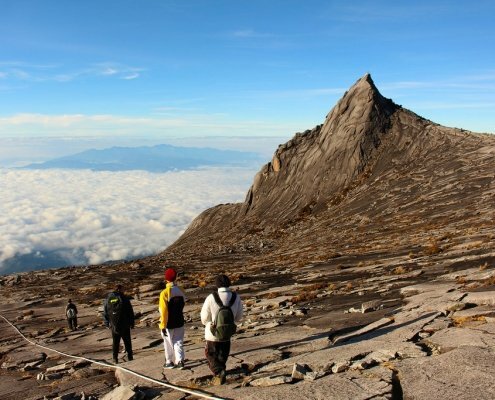 Cycle across the Crocker Range or climb Mount Kinabalu – Borneo Travel look forward to making your adventures a reality. Pick up 5.30am in the morning for a 2 hours drive to BEAUFORT. Catch the 7.50am train riding alongside the PADAS GORGE to TENOM. Total Cycling On Countryside Roads Approximately 50KM. Total Cycling Across Crocker Range Approximately 60KM. Hiring of Mountain Bike At RM 75 Per Unit Per Day for 3 Days. We provide DOMESTIC AIR TICKET flight to LAHAD DATU. Pick up from hotel at 4.50am to airport and depart by 6.00am flight to LAHAD DATU. Arrive Lahad Datu, breakfast and transfer to starting point for a 25KM off-road cycling to TABIN WILDLIFE RESERVE. After breakfast, cycling to mud volcano and waterfall. After breakfast,check out. off-road cycling to the main road which is about 25KM. Then transfer to BILIT & check-in at MYNES RESORT based on twin shared room. After breakfast, check out and start cycling to GOMANTONG CAVE on bitumined road for a visit then proceed cycling to main road which is about 50KM. Then transfer to LABUK for lunch and later visit ORANG UTAN in SEPILOK. After breakfast,check out. Transfer to LABUK BAY to visit Proboscis monkeys and then cycling about 18KM to main road and transfer to SANDAKAN AIRPORT for domestic flight to Kota Kinabalu. We provide the DOMESTIC AIR TICKET. Hiring of Mountain Bike At RM 75 Per Unit Per Day for 5 Days. Check out,transfer 4 hours to SIKUATI. Early lunch,then mountain biking about 25KM to NORTHERN TIP OF BORNEO. Check out, start cycling on off-road about 40KM to BAK BAK Beach and 10KM on bitumined road to KUDAT for lunch. Check out and transfer to foothill of MT KINABALU start mountain biking on countryside road about 30KM to TAUN GUSI HOMESTAY to check in and lunch. Check out and cycling to TAGINAMBUR about 20KM. 0330Hrs walk up to summit of Mt Kinabalu. Hiring of Mountain Bike At RM 75 Per Unit Per Day for 4 Days. Check out, transfer to MEMBAKUT, mountain biking to KUALA PENYU check in seaside lodge. Evening KLIAS RIVER CRUISE to see proboscis monkeys. Cycling of approximately 45KM. Check out,cycling to TENOM then to KENINGAU on bitumined road about 50KM. Check out & transfer to APIN APIN cycling across CROCKER RANGE about 45KM to TAMBUNAN. 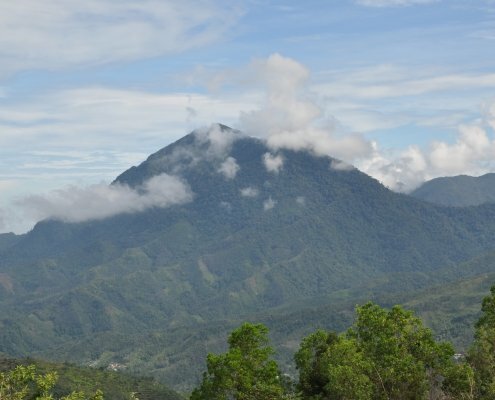 Check out,cycling about 60KM across CROCKER RANGE to RANAU.